Bringing home a new puppy is an exciting time, it’s also an important time. 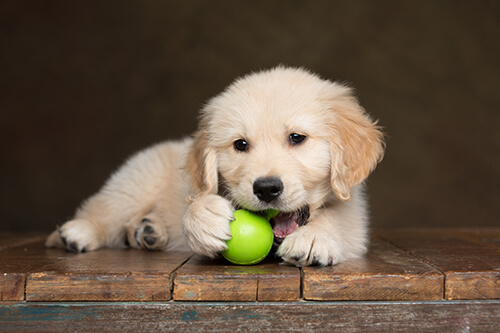 Right from the beginning, new owners need to plan how they’re going to manage their puppy because the puppy’s experiences in the first few months will influence their behaviour for the rest of their life. I’ll never forget the joy of bringing Toby home as a pup, he was so cute and so much fun. It’s true puppies are an absolute delight. They’re also messy, they chew things they shouldn’t, and many will cry at night. Their behaviour can easily become frustrating and confusing for new owners. That’s why I always recommend owners plan how they will raise their pup to ensure they become a friendly, well-behaved dog. Following are my five top tips to help you set your new four-legged friend up for success and avoid puppy disasters. Animal behaviour experts agree that one of the most important factors for all dogs is socialisation from a young age. Socialising is simply a term for activities that introduce puppies to a wide range of experiences in a positive and safe way to help them become confident and friendly dogs. Well socialised puppies grow up to be great pets. 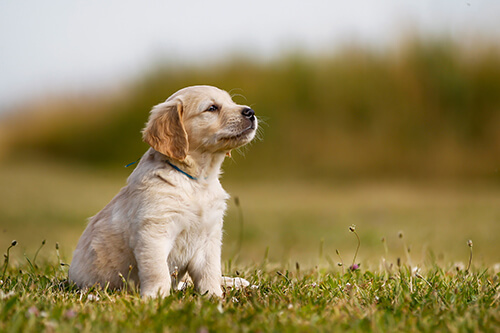 Puppies that are isolated or have negative experiences, are more likely to be fearful or aggressive adults. The first few months are the most critical developmental period in every dog’s life. During this time, it’s vital to expose them to as many people, places and ‘things’ as possible – children, trucks, skateboards, other animals, veterinarians, slippery floors, loud noises etc. These experiences will play an important part in shaping their behaviour as an adult dog. Owners should never tolerate bad behaviour, even when it seems cute and harmless. Behaviour that’s amusing in a tiny puppy, can become a real problem in a large adult dog. Always strive to reward good behaviour and ignore bad behaviour. When puppies misbehave they often receive attention, and they may view that attention as a reward, so take care not to accidentally reinforce poor behaviour. 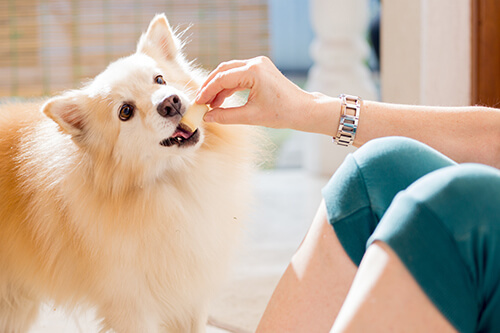 Reward your puppy for calm, relaxed behaviour, even when they’re just sitting quietly, a small treat or praise will reinforce their understanding that calm and quiet is good. Puppies need loads of companionship and training, but they also need to learn to spend time on their own. A puppy pen will minimise toileting accidents in inappropriate places and provide security and keep them out of mischief when you’re unable to supervise them. 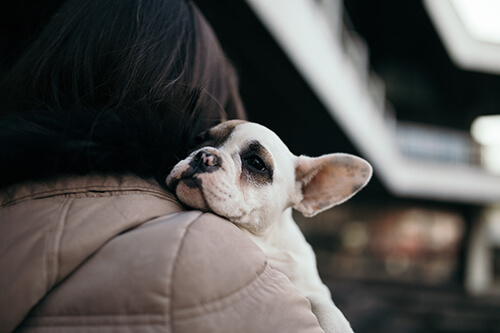 It can be tempting to carry your puppy around or let them follow you about all day, but this can lead to them becoming overly dependent on you and potentially anxious when left alone. Most owners are aware of the necessity of training puppies, but don’t realise how valuable on-going training can be. Like humans, dogs experience behavioural changes through adolescence. This can result in behaviour issues from 6 to 18 months of age. It’s important to keep up the training throughout this period, even a few minutes a day will provide mental stimulation and help stop boredom.